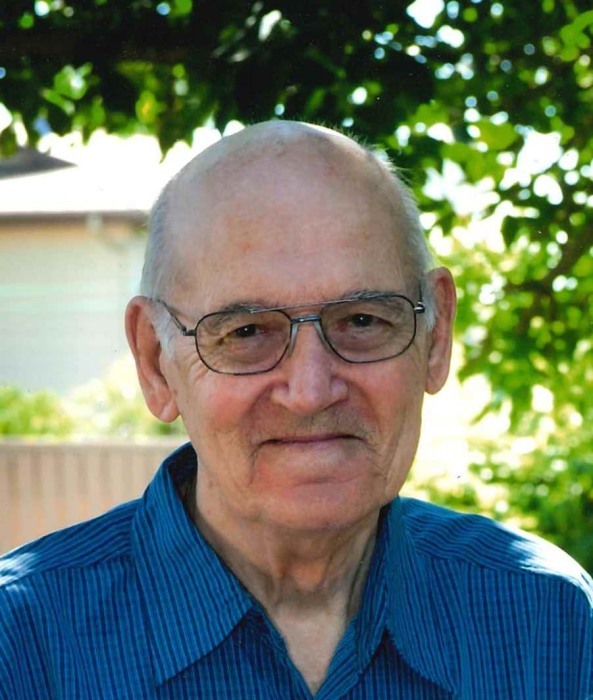 Joseph Richard Hay, 81 years of Humboldt, passed away peacefully surrounded by family at Humboldt District Hospital on Sunday, June 24, 2018. Joe was born to John and Margaret Hay on June 10, 1937 in Lloydminster,SK. He grew up in the Kitscoty and Lloydminster area, where he attended school. At the age of 15, he began working at Matheson’s Grocery Store. Over the next few years, he gained valuable knowledge about the grocery industry and also met the love of his life, Agnes Frank. Following a four year courtship, they married on June 8, 1957. They moved to Saskatoon for a short time, then on to North Battleford. An opportunity for them to own and operate their own grocery store came their way and off they ventured to St. Walburg, SK. They ran a successful grocery business there from 1963-1988. St. Walburg is also where they raised their family. Joe was a well respected member of the community, serving on Town Council, as well as being on the fire department and a member of the Knights of Columbus. When his boys were younger, he coached them in hockey, which was a favourite sport of his. He loved to watch hockey, whether in person at a rink or on TV. In 1991, they officially retired and moved to Humboldt. Loving to sing, Joe became a member of the St. Augustine Choir and the Golden Age Singers. He also enjoyed bowling, gardening, and woodworking. Over the years, Joe and Agnes were fortunate to travel to several destinations with Hawaii being a favourite for both of them. He was a people person and loved to visit with anyone and everyone. Joe will be lovingly remembered and sadly missed by his three daughters, one daughter-in-law, 12 grandchildren and 10 great grandchildren: DONNA (Lyle) Schneider of St. Walburg and family: Chris (Holly) Schneider of Carmel, CA, Carmen Schneider of St. Walburg and Mike (Alina) Schneider of Calgary; JOAN (Robert) Hoffman of Lloydminster, AB and family: Arla (Gerald) MacNab and children Connor, Rogan, and Quinn, and Jamie Hoffman (Ray Sequin), all of Lloydminster, AB, and Whitney (Brandon) Ducharme of St. Walburg; ARLA (Larry) Berting of Humboldt and family Jesse Lefebvre of Vonda, Mitchell Berting and Brandon Berting of Humboldt; Grant’s family, Lillian Hay of Rocky Mountain House, AB and family Rebecca (Josh) Zezula and children Micheal, Hailey, Scarlett, Jaxyn and Thayne and Joe (Sara) Hay and children Evan and Seth, all of Rocky Mountain House, and Cody (Kayla) Hay of Sylvan Lake, AB; sisters: Dorothy Parker and Kathleen Flaman, both of Lloydminster, AB; sisters-in-law: Arlene Flegel (Dwight Shields) and Donna (Cec) Hundseth, all of Saskatoon; and by numerous nieces and nephews. Joe was predeceased by his parents John and Margaret Hay; wife Agnes Hay; and three sons David, Grant and Tim. The Funeral Mass was held on Tuesday, July 3, 2018, at 2:00 p.m. at St. Augustine R.C. Church, Humboldt, celebrated by Fr. Demetrius Wasylyniuk OSB. Interment followed at St. Augustine Roman Catholic Cemetery, Humboldt. Memorial Donations in Joe’s memory may be directed to St. Augustine Parish Centre or Kinsmen Telemiracle Foundation.